Posted by Jane Chanakira in Fashion on Jan 27, 2014 . Prints are yesterday's news, dreamy Soft 3D Flowers are in & they look delectable. ‘Florals, for spring? Groundbreaking.” Miranda Priestly once sarcastically remarked. But yes, groundbreaking they are this season. No longer the preserve of your nan’s tapestry, designers have given flowers a new lease of life, the spring/summer fashion oeuvres boomed with profusing 3D flowers. The modus operandi was collectively light-hearted and romantically enchanting, whisking imaginations as far away as nirvana or creating idyllic fantasies of the big day. Posted by Jane Chanakira in on Jul 26, 2013 . The fashion clock’s forever ticking, and moving forward at a fast pace. We welcome a new trend today, and say goodbye tomorrow. In this fiery heat, it is hard to imagine that in just a few months, we’ll be trading in our sandals for boots, skirts for trousers, and er…crop tops for multiple layers. With the summer sales everywhere as stores clear away the old, in prep for the new, we are enthusiastic about what Autumn/Winter will bring. Posted by Jane Chanakira in Skin Expert on Apr 09, 2013 . Whether it’s stress, bad diet, or the effects of the weather, the skin usually shows the first signs of a problem. Here, we tackle common beauty problems with basic first steps to taking care of your skin, before reaching for products. 1. Pigmentation: Acne presents a lot of challenging problems, not only is it stressful to deal with, but it also leaves stubborn uneven marks on the skin. Solution: Shorten the time spent in the sun and ensuring you’re using SPF protection. 2. Spots: There’s nothing more frustrating than the appearance of spots; they are difficult to hide and intrusive. Posted by admin in Skin Expert on Mar 15, 2013 . Skin is the biggest organ in the body, and it is the only one visible. If first impressions are made to last, then a healthy looking skin is the ultimate way to make a good one. However, it is easier said than done. Millions of people pay thousands of dollars each year on skin products, a list that keeps on getting bigger as you age. But it is important to make the right investments, for the sake of your hard earned cash, and for the health of your skin. What Harmful Skin Care Products Can Do? Posted by Jane Chanakira in on Mar 04, 2013 . Off the shoulder, embellished, capped, bare, rounded, squared…we’ve seen them all this season. 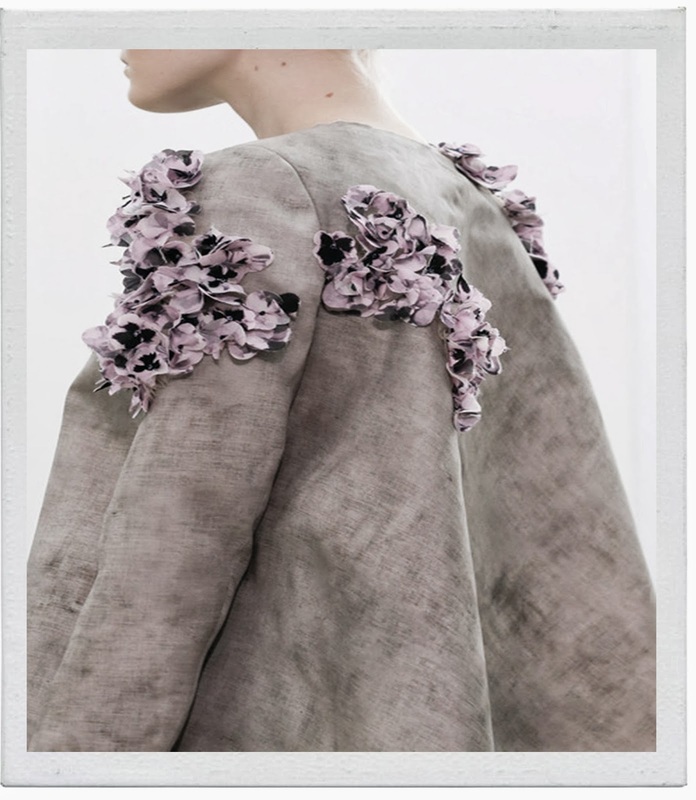 The fashion capitals’ designers uniformly decide to pay attention to the shoulder by removing or adding more fabric to them – and with each, altering the silhouette completely. Posted by Jane Chanakira in on Feb 27, 2013 . The waistline, (alongside shoulders as we’ve seen previously) is having its fashion moment again. The belted waist creates a smart and feminine silhouette, without necessarily having to cinch. See the Alberta Ferreti show for example, whose opening look was a bow tied belt aided by a peplum for an extra emphasis. The collections this fashion month show us that waist belts come in all shapes and sizes, from thin straps to corset belts; offering more ways than one to style them. Posted by Jane Chanakira in Fashion on Feb 16, 2013 . Posted by Jane Chanakira in Fashion on Feb 15, 2013 . Here at ibeba, we believe that beauty and fashion are synonymous with each other. This month, we’ve decided to celebrate fashion month and treat you to an insight of the best A/W 2013 shows. 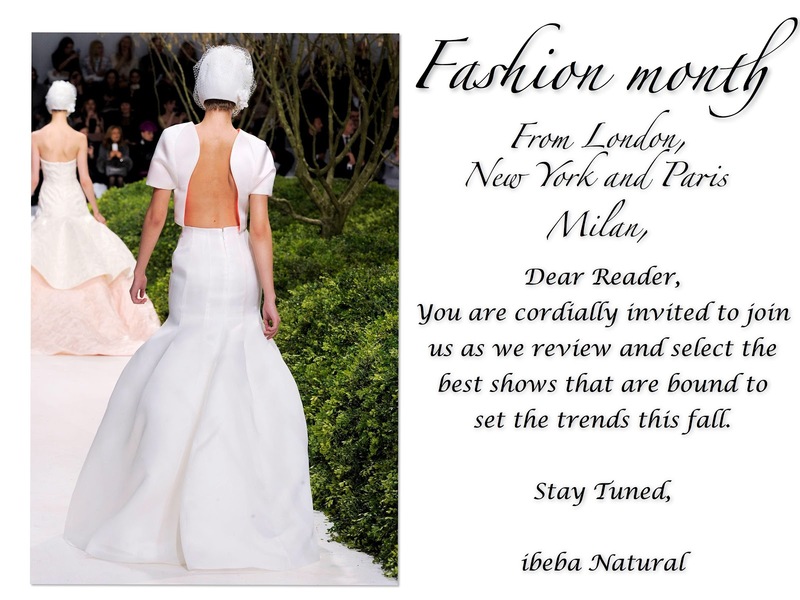 From New York, London, Milan and Paris, we will review the shows that have tickled our fancy and ones that we think are most likely to be in vogue and influence your next winter wardrobe. Stay tuned. Posted by admin in Promotional on Feb 13, 2013 .
ibeba natural not only provides great solutions for skin tightening and brightening, but its new affiliate program now offers a way to earn some extra cash too. ibeba natural has already made its mark as an effective way of getting younger and healthier skin, and now it gives you a chance to join their affiliate programme using several ways to market and promote ibeba natural brand. It is an easy, hassle-free way to earn money without doing any physical work. One of the most effective methods is a review. Posted by Jane Chanakira in Introduction on Feb 07, 2013 . Did you know that low levels of nourished hyaluronic acid in the skin primarily cause wrinkles? Research shows that hyaluronic acid levels decrease with age, as this happens it dehydrates the skin cells and produces wrinkles. We have blended unique and effective ingredients designed to give you the best results: younger and more appealing skin, naturally.